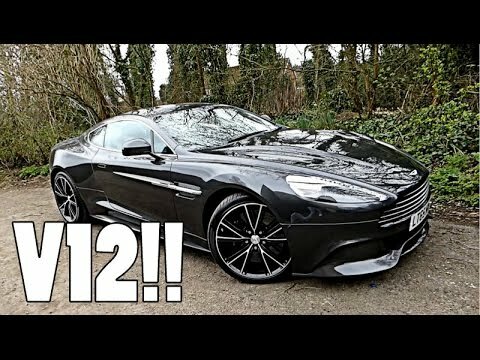 With a price that can buy decent housing in most zip codes in this country, the 2016 Aston Martin Vanquish is wrapped in show-stopper looks and delivers immense performance, impeccable manners and fastidious detailing. There's nothing quite like an Aston Martin, and the Vanquish is the epitome of all that means; this is as good as it gets. Elite of the elite in the automobile world. Luxe fabulous, a car you have seen in your dreams since your a child! It is absolutely extraordinary to drive 007’s car, only newer! This car is my love without a doubt, if you can afford it buy one, you will not be disappointed in any way. Just astonished at how absolutely incredible this driving machine is, a complete work of art! 2016 Aston martin very comfortable stylish amazing handling. My c my car is very appealing it goes from 0 to 60 in 3. 5 seconds my car is a 2016 model it is a aqua blue I love it very much I had this car for about 1 year now I might trade it in for a BMW I do not know yet maybe I will keep it the performance is like no other it is very stellar is a reliable and comfortable car. It is reliable enough to get you were you need to be on time. Not sure I am not car savvy but I have had a couple minor issues v a few points in time. But overall a decent vehicle for what It's worth. Definitely recommend.